Barry McHugh was the chief scorer and free taker for Galway in their 0-13 to 0-10 win over Sligo in the opening round of the FBD League. Fullback McHugh, making his debut, posted seven points to ensure victory for Kevin Walsh's side. Sligo led 0-6 to 0-4 at half time, but were not helped by a second yellow to corner-back Eoin McHugh. Galway capitalised, kicking five unanswered points to ensure a positive start to their campaign and the new season. Galway: Rory Lavelle, Luke Burke, D Walsh, Johnny Duane (0-1 ), Paul Varley, Gareth Bradshaw, Sean Kelly (0-1 ),Michael Day, Fiontan O Curraoin (0-1 ), Johnny Heaney, Thomas Flynn (0-1 ),Peter Cooke, Paul Mannion, Barry McHugh (0-7,4fs ) Sean Armstrong. Subs: David Wynne (0-1 ) for Michael Day, Eddie Hoare (0-1 ) for Paul Mannion. 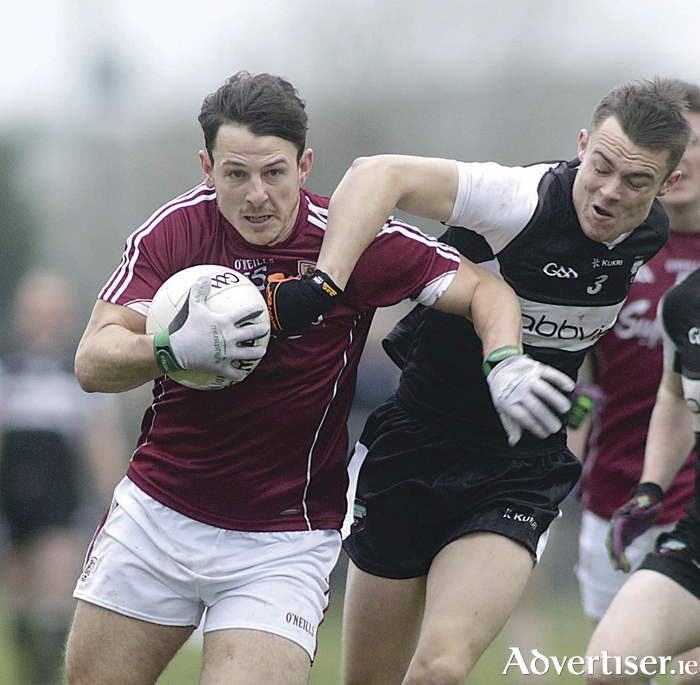 Meanwhile NUI Galway enjoyed a good start, overcoming last season's All Ireland finalists Mayo by 2-16 to 1-21. However Mayo lined out with a much-changed team which included 10 debutants, and with 20 minutes remaining, they were reduced to 14 men when Ray O’Malley picked up a second yellow card for a foul on Comer. The Galway star kicked his fourth point on 52 minutes gone to put the students clear by six points. NUI Galway scorers: Adam Gallagher 0-9 (0-5f ), Damien Comer 1-4, Michael Daly, Enda Tierney 0-3 each, Matt McClean, Kieran Molloy 0-1 each.